When I first tried Topaz Labs’ new B&W Effects Plugin, I fell in love with their Cyanotype group. The intense cool blues produced by this group are perfect to create a moody night-time effect. 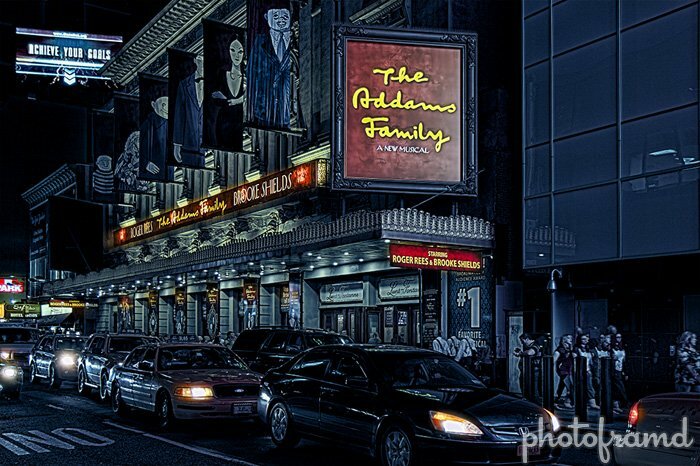 With my Canon 7D and 17-55mm EF-S lens, I shot several Broadway theaters in a series of photos for HDR. I then used the B&W Effects plugin to convert the full color photos to rich blues with great contrast. 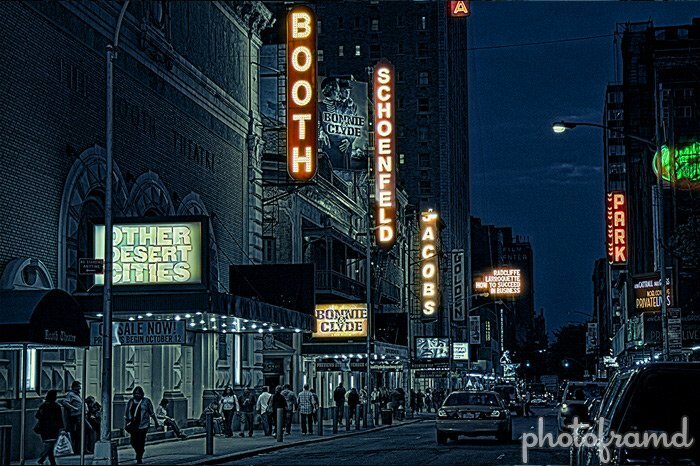 Back in Photoshop, I then layered this effect with the original photo to bring back the color of each marquee. 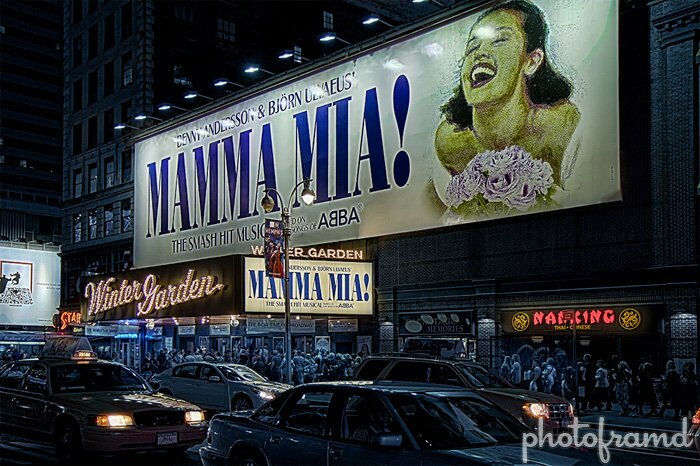 The final effect is a dramatic photo promoting the theater. NOTE – I just published my Nighttime Blue by Photoframd preset for Topaz Labs B&W Effects. Download it here.